(from CBS News) WASHINGTON — More than 57,000 veterans have been waiting for up to three months for medical appointments, the Veterans Affairs Department said in a wide-ranging audit released Monday. An additional 64,000 who enrolled for VA health care over the past decade have never been seen by a doctor, according to the audit. The audit is the first nationwide look at the federal government-run VA network in the uproar that began with reports two months ago of patients dying while awaiting appointments and of cover-ups at the Phoenix VA center. Examining 731 VA hospitals and large VA outpatient clinics, the audit found long wait times across the country for patients seeking their first appointments with both primary care doctors and specialists. The audit is the third in a series of reports in the past month into long wait times and falsified records at VA healthcare facilities nationwide. The controversy forced VA Secretary Eric Shinseki to resign May 30. Shinseki took the blame for what he decried as a “lack of integrity” in the sprawling system providing health care to the nation’s military veterans. The audit released Monday said 13 percent of VA schedulers reported getting instructions from supervisors or others to falsify appointment dates in order to meet on-time performance goals. About 8 percent of schedulers said they used alternatives to an official electronic waiting list, often under pressure to make waiting times appear more favorable. Acting VA Secretary Sloan Gibson said the audit showed “systemic problems” that demand immediate action. VA officials have contacted 50,000 veterans across the country to get them off waiting lists and into clinics, Gibson said, and are in the process of contacting an additional 40,000 veterans. Miller’s comments, delivered in the weekly GOP address, came just two days after a key bipartisan pair of senators announced a deal to reform the VA’s health care system. Ismael Bruno, a 41-year-old New York City firefighter who served in the Navy and the Marine Corps, told CBS News last month that he no longer goes to [the government-run] VA hospitals because he felt like the administrative staffs there showed such little respect for veterans. He says scheduling appointments sometimes took several months and office employees display nothing but apathy while veterans wait alone for hours. Reprinted here for educational purposes only. May not be reproduced on other websites without permission from CBS News. Visit the website at cbsnews .com. Watch the CBSNews report–NOTE: CBS broadcasts a 30 second commercial first: (from cbsnews.com/news/57000-still-awaiting-initial-va-hospital-visits-audit-shows). Daily posting will end for the summer on June 13th and will resume August 25th. 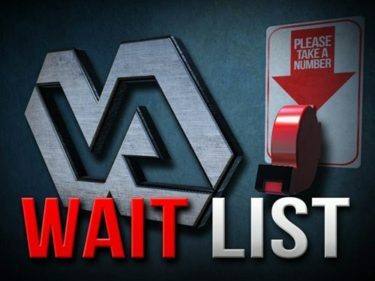 2. a) How many veterans have been waiting up to 3 months for medical appointments, according to a U.S. Department of Veterans Affairs audit? b) How many veterans who enrolled in the VA health care system in the past 10 years have never been seen by a doctor? c) What prompted the Department of Veterans Affairs to conduct the audit of the VA healthcare facilities? 4. What action does Republican Sen. John Cornyn call on President Obama to take? 5. What steps has the acting VA Secretary taken to address the abuse? 6. Read the “Background” below and watch the videos under “Resources.” In the posted commentary, Betsy McCaughey asserts: “The practical answer is to provide vouchers or health plans for vets who need colonoscopies, heart care, diabetes management and other treatment for non-combat-related conditions so they can escape the wait lists and use civilian doctors and hospitals.” What do you think of Ms. McCaughey’s recommendation? 7. a) What immediate action do you think President Obama needs to take to address this enormous misconduct and delay/complete lack of treatment for our veterans? At the end of May, the nation was shocked by charges that more than 1,400 vets lingered and 40 died on a secret waiting list at the Phoenix, Ariz., Veterans Administration medical center. The list was concocted to conceal long waits for care. But what you haven’t heard is even worse: VA hospitals across America are manipulating the official electronic waiting list, and the deadly coverups have been going on for years. The abuse was vividly documented in a March 2013 hearing of the House Committee on Veterans Affairs, more than a year before the Phoenix scandal broke.Debra Draper, the GAO’s director of health care, told Congress that the GAO visited four VA medical sites and found that more than half the schedulers were manipulating the system to conceal how long vets wait to see a doctor. Roscoe Butler, an American Legion investigator, described seeing similar tricks. Asked if the VA could correct the problem, Draper was skeptical. The problems first surfaced in Phoenix, where the wait to receive care at VA facilities had grown so long that 1,400 to 1,600 sick veterans were forced to wait months to see a doctor. As many as 40 veterans reportedly died because they couldn’t get the care they needed. 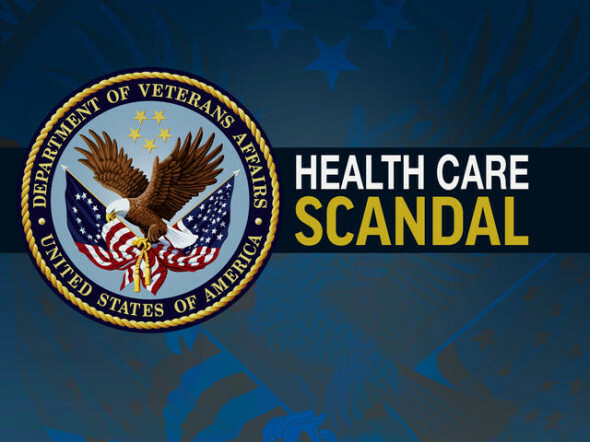 VA administrators tried to cover up the problems by establishing secret waiting lists and falsifying reports. The scandal has now spread to other veteran facilities. VA employees at an outpatient clinic in Fort Collins, Colo., falsified appointment records to hide the fact that as many as 6,300 veterans treated at the outpatient clinic waited months to be seen for treatment. In Wyoming, whistleblowers have accused officials of manipulating records to hide wait times. VA officers in San Antonio and Austin, Texas, have been accused of similar efforts to hide long waits. And in Pittsburgh, VA officials are accused of covering up the death of several patients after the water in a VA hospital became infected with bacteria. The officials reportedly tried to hide the information not only from patients and superiors, but even from hospital staff.